Phase II environmental site assessments are primarily employed after evaluation of the Phase I audit results to acquire and measure contaminant levels at the site and to help define the cost and extent of possible future clean-up. Assessment may also be used as baseline studies to confirm contaminant background levels prior to construction or purchase of a facility. The scope of work for any individual site assessment will be custom tailored for the site conditions, the future land uses and the agency concerns. The type of installation will be chosen based on probable types of chemicals and materials which may be of concern. Soil vapor studies provide a rapid and cost-effective method of mapping the horizontal distribution of volatile petroleum and chemical vapors in subsurface soils and waters. Soil vapor are used to explore petroleum refining, storage and distribution facilities and other installations which have used or stored fuels, solvents or other petroleum-based chemicals. Soil vapor studies set up grids of sampling over the area of interest and analysis for methane through butane light hydrocarbons, C5+ gasoline range hydrocarbons, chlorinated solvents and other compounds of concern. Results can be used to select boring and monitor well locations, which may be necessary to map the vertical distribution of contaminants in soils and ground water. 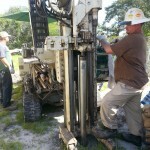 Conventional drilling and soil sampling programs are employed to obtain representative soil samples for laboratory analysis of petroleum constituents, trace metals and other compounds of concern. Soil sampling programs are often planned after a soil vapor study or other screening tool is employed, so that borings are placed to fully define the horizontal extent of contaminants. The horizontal extent of ground water contamination can be mapped with an appropriate number of ground water monitoring wells. Wells will be sampled for the chemical compounds/elements typical of the potential contaminants. The final report or Contamination Assessment provides a comprehensive analysis of the type, composition, vertical and horizontal distribution of potential contaminants of soil and/or ground water of the site. The best result from the report would be that there is no contamination on the site and no further actions are needed. However, the results can define the need for more extensive site investigation if necessary to further define pollutants and the necessary actions to remove the contamination. Clementi Environmental Consulting in association with Ken Jones, Professional Geologist (PG) of Hydro-Environmental Associates, can complete a site specific Contamination Assessment Plan and execute it. For your next Phase II Site Assessment, contact contact Clementi Environmental Consultants first! Clementi Environmental Consulting is pleased to bring in the expertise of Ken Jones, P.G., to work in collaboration with us to address your Contamination Assessment needs. 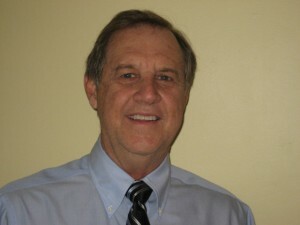 Ken Jones has over 30 years of experience in hydrogeologic and environmental consulting and is knowledgeable in all aspects of Florida hydrogeology and groundwater analysis. His environmental experience includes the performance of Contamination Assessments, Remedial Action Plans, environmental site assessments, and site remediation. He has also been responsible for a number of projects including hydrogeologic investigations, supervision of exploratory drilling, wellsite stratigraphic analysis, interpretation, and well design, and all phases of water supply investigations. Mr. Jones has extensive experience in groundwater flow and solute transport modeling involving numerous applications, including minimum flows and levels analysis; analysis of groundwater withdrawals on wetlands, riverine systems, and other water bodies; contaminant migration; wellfield optimization; and drawdown impact analysis. A graduate of the University of South Florida with a BA in Geology, Mr. Jones is a Registered Professional Geologist in the State of Florida, and a Certified Professional Geologist with the American Institute of Professional Geologists.